The John Alden Chapter of Midland, Michigan, was organized April 3, 1922, No. 58, and was chartered with 16 members. The name "John Alden" was chosen to honor Dr. Herbert H. Dow, founder of the Dow Chemical Company of Midland. Dr. Dow was a direct descendent of John Alden and Priscilla Mullins, Mayflower passengers in 1620. John Alden is said to be the first passenger of "The Mayflower" to set foot on Plymouth Rock in 1620. John was a ship carpenter by trade and a cooper for "The Mayflower." John was also one of the Founders at the Plymouth Colony and the seventh signer of the Mayflower Compact. Grace A. 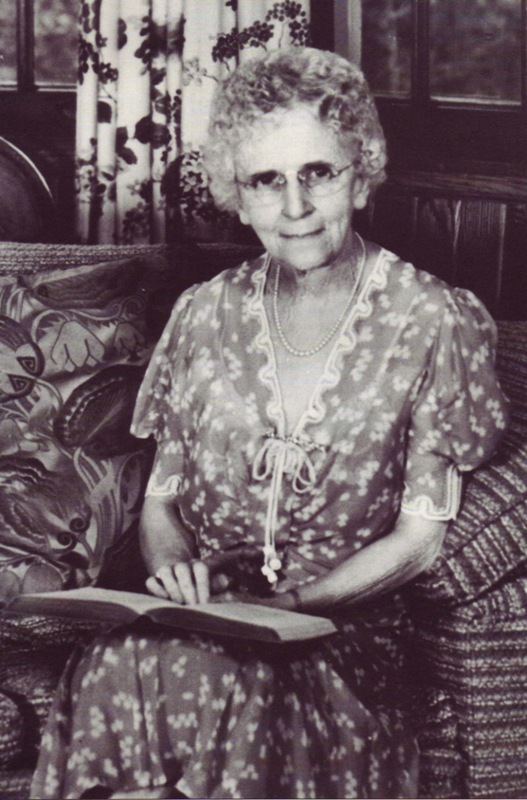 Ball was born in 1868 to schoolteacher, Arnelia Ball, and George Willard Ball, a banker. In 1892 she married Herbert H. Dow in Midland, Michigan. Grace and Herbert raised seven children and lived their entire married lives in Midland. Grace Dow founded the Herbert H. and Grace A. Dow Foundation in her husband's memory. The foundation is dedicated to funding religion, education, culture, science, and community life in Midland and throughout Michigan. She donated the property which now houses MidMichigan Medical Center - Midland. Relatives recalled her joy in making the gift, which was adjacent to the Dow family orchards. Grace joked, "If nothing else, they can sit there and eat apples while they have to be in the hospital. Grace Dow was an active member of several civic organizations and sat on many local and state boards. Grace served as the First Regent of the John Alden Chapter of Daughters of the American Revolution, 1922-25. In the 1950s she was involved in the planning and funding through the Foundation of a new library building which was designed by her son, architect Alden B. Dow. Grace died in 1953 before construction began. The library is named the Grace A. Dow Memorial Library in her memory. Pioneer Members joined the John Alden Chapter in 1922 shortly after the chapter was chartered.